“The Boxtrolls,” the latest offering from the makers of “ParaNorman” and “Coraline,” opens Sept. 26. 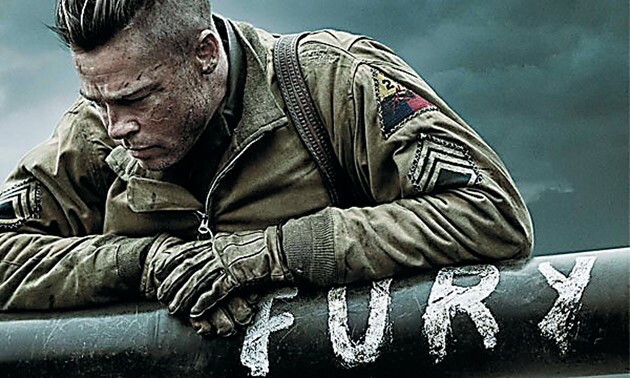 Brad Pitt stars in the World War II flick “Fury,” opening Oct. 17. After a lack-luster summer blockbuster season, I’m pretty sure studios, critics and audiences are all hoping the next few months will be better. Luckily, with a couple of hit book adaptations, some Sundance releases and a new Christopher Nolan film, fall could be a good season for cinema. This gritty-looking crime drama casts Tom Hardy as a bartender involved with funneling cash to local gangs via money drops in the skeevy underworld of Brooklyn bars. Things go south for Hardy’s character, though, when he finds himself in the middle of a robbery gone wrong. “The Drop” also stars James Gandolfini. Estranged twins Maggie (Kristen Wiig) and Milo (Bill Hader) find themselves at each others’ throats, but are thrust back together by life circumstances and must confront why they drifted apart. This is one I wanted to see at Sundance but couldn’t catch, so I’m excited to get another chance. Based on the best-selling novel by James Dashner, “The Maze Runner” follows Thomas (Dylan O’Brien), a teenage boy who wakes up trapped in a massive maze with a group of other boys and no memory of the outside world. Things only get stranger when a girl (Kaya Scodelario) suddenly joins the group, and Thomas discovers clues that could help him untangle the purpose of the maze. This book was one of the best teen dystopian novels I’ve read, and I have high hopes for the film adaptation. The Boxtrolls are a group of mysterious creatures raised by a quirky human boy named Eggs (voiced by Isaac Hempstead Wright), and everything is going swimmingly until the town’s villain (voiced by Ben Kingsley) comes up with a plot to get rid of them. 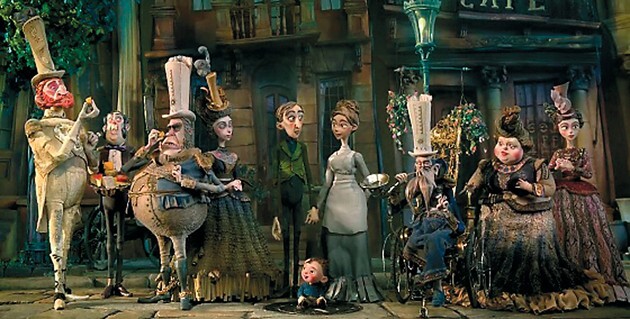 Eggs, along with a daring girl named Winnie (voiced by Elle Fanning), must come up with a way to foil the devious plan and save The Boxtrolls. It’s a cute concept, but I’m really excited for it because it’s from the same makers as “Coraline” and “ParaNorman,” both of which I loved. Simon Pegg stars as Hector, a psychiatrist whose realizes he can’t actually help his patients become happier because he doesn’t know the secret to happiness himself. So, he leaves behind his practice and his girlfriend (Rosamund Pike) and sets off on a global journey, finding along the way characters played by Toni Collette, Stellan Skarsgard and Christopher Plummer. Based on a novel of the same name by Francois Lelord, this looks quirky and light-hearted. Ben Affleck, Rosamund Pike, Neil Patrick Harris and Tyler Perry star in this adaptation of Gillian Flynn’s deeply disturbing novel about a woman who goes missing on the couple’s fifth anniversary and how clues slowly pile up to incriminate her bewildered husband. When I read the book — which was thoroughly gripping — I imagined more Bradley Cooper than Ben Affleck, but I can’t wait for this one, anyway. “Birdman” follows an actor (Michael Keaton), battling his past fame as an iconic superhero, in the days leading up to the opening night of a Broadway play he is struggling to produce. It’s billed as a dark comedy, and it looks like it will fit that bill and probably be incredibly artsy, but it could be good. Brad Pitt’s newest has him starring as a hardened World War II sergeant who commands a Sherman tank and five-man crew during the final push in the European Theater. He and his crew, including Shia LaBeouf, Logan Lerman and Michael Peña, find themselves outnumbered and outgunned as they try to strike at the heart of Nazi Germany. Guillermo del Toro produces this animated fantasy-adventure about Manolo, a dreamer who embarks on an epic quest to defend his home and rescue his one true love. The Western could be making a comeback with this period drama about three frontier women who enlist the help of the independent-minded Mary Bee Cuddy (Hillary Swank), who in turn enlists the help of a drifter, played by Tommy Lee Jones. The journey across the formidable Nebraska Territories proves to be trying for all five. Meryl Streep also stars. Christopher Nolan’s newest features Matthew McConaughey, Anne Hathaway, Jessica Chastain and Michael Cain, which is a pretty persuasive argument to see this movie anyway, but then it’s about space explorers using wormholes. Basically, I want to see this movie so bad.